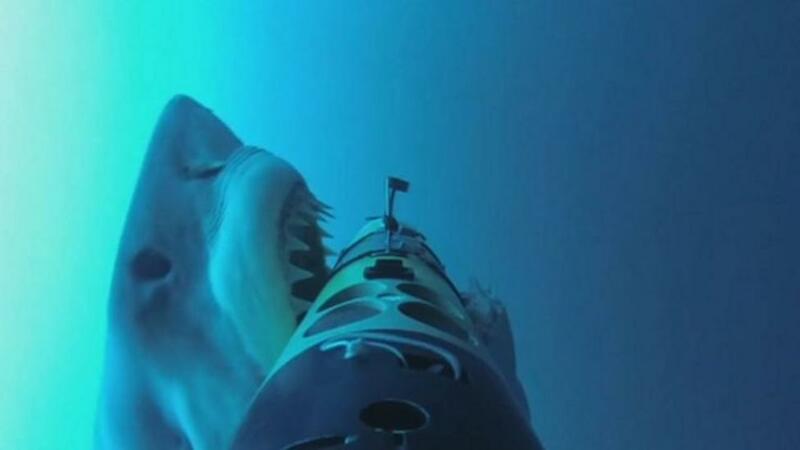 Scientists have captured the moment when this Great White shark attacked an underwater robo-cam. The killer shark wrapped it's massive jaws around the six camera probe being used to study shark behaviour in the wild. The predator lurked underneath the camera before swimming up and latching onto it - the same way it would hunt a seal.